If you’re planning to buy a used car, you are not alone. Many people are turning to used cars to save money lost due to heavy depreciation in cost of new cars, in the initial years. But both buyers and sellers need to be aware of the insurance policy regarding it’s transfer, retaining NCB discount etc. Missing a few steps can prove to be quite expensive for either of the two parties. From a seller’s point of view, the insurance policy must be transferred in the buyer’s name once the vehicle is sold. 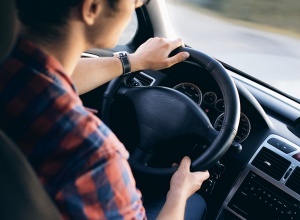 The seller of the car should claim their certificate for no-claims bonus, if any, from the insurance company once the policy is being transferred to the buyer. A No Claims Bonus (NCB) is a discount offered, on own damage premium, to those policy holders who didn’t make any claim(s) in the preceding year(s). NCB ranges from 20-50 percent depending on the number of claim-free years. Also, NCB is non-transferable from the seller to the buyer. The NCB certificate received is valid for a period of three years. 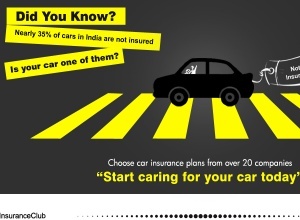 This discount would be applicable on new insurance policy bought for any car, within this period. Remember, the NCB discount is even available if you decide to switch to a new insurance company. For buyers, it is important to apply for transfer of ownership of the insurance policy within 14 days of purchase of the car, lest you risk the possibility of getting the claim rejected. 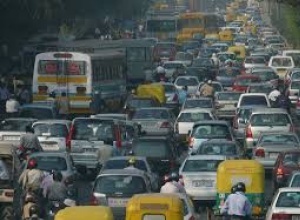 IRDAI norms gave are clear that no claims will be settled unless registration and insurance of the vehicle are not in the same name and address. How can the transfer be made? The seller has to inform the insurance company in writing to make such a transfer. A nominal fee is charged for the transfer along with pro-rata recovery of the NCB form the date of transfer till policy expiry. But there is often confusion regarding what motor insurance entail and careless assumptions lead to much problems for policy holders at the time of claim settlement. Read on for a complete checklist before going for a motor insurance. The sum insured in a motor insurance policy reflects the value of the vehicle, calculated on Insured's Declared Value (IDV). IDV is based on present value of the vehicle and depreciation. How to select your car insurance company? An ideal company should have a large network of garages or service stations for cashless service. Fast claim settlement ratio and process matters a lot. The premium to be paid for motor insurance differs from company to company. The factors which determine this are discounts offered, personal accident cover, different IDV estimation methodology etc. The information mentioned in the motor insurance policy document about your vehicle should match with the details in your RC book including clearance certificate, model type, fuel type – Diesel, CNG or petrol, seating capacity. This is absolutely important. The premium for personal accident (PA) cover or personal accident cover is more or less similar across companies and is based on your choice. This is availed as an add-on or optional cover and may not come built-in a policy. Insurers try to reduce your IDV which also decreases your premium. This might seem lucrative in the short-term but please be advised lower IDV will also lower the sum assured at the time of claim, as it lowers the estimated cost of your car, which is the basis of calculation of the sum assured. Keeping IDV on the higher side helps during claims and the time of selling your car. - Insured’s declared value or IDV is reduced by a minimum of 10 percent as compared to last year (to account for depreciation).